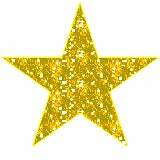 Gold Stars for everyone today! DANG. I don't know about you, but I'm exhausted. It's been an outstanding day full of outstanding posts and comment threads and I'm still catching up but like, WHOA. You all rock. May I respectfully request nothing but cute kitten or puppy posts for the rest of the evening as I've still got like a dozen articles and comments that I still want to finish reading and processing? LYLAS! Thanks!